Lighting design in small spaces? yes! Did you know that creating a neat lighting design in your home can make your small space appear bigger? Placing lights in a certain way creates balance and small spaces feel bigger when there's balance and harmony. 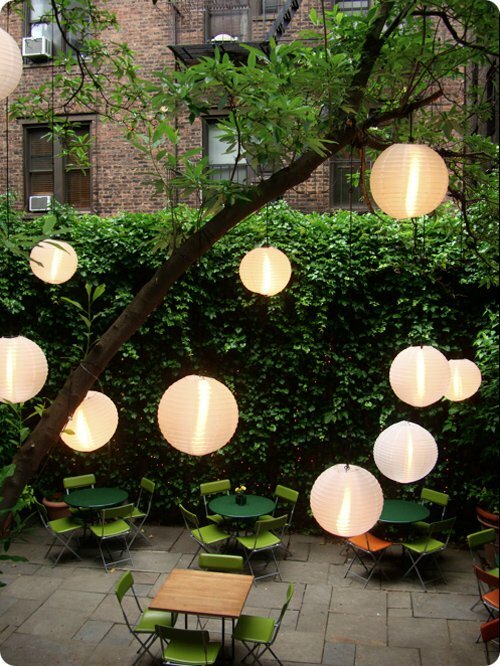 I snapped this garden lounge during my recent NYC visit and was inspired by these silk chinese lanterns to roundup a few tips for your own small space when it comes to lighting. Don't be afraid to hang lighting in your small space, even if your ceilings are a bit low. Creating vertical depth make small spaces bigger. If you don't have a chandelier handy, consider hanging a Tord Boontje shade. You don't need 10 lamps in a small space, but having more then one is a good thing for lighting balance. Table lamps, floor lamps, shades from the ceiling - having different height levels adds style and tone. Different style lighting in your small space also creates texture and provides balance. How do you light your small space? Check out more tips right here. And see tons of more tips in the SMALL SPACE DWELLER HANDBOOK. 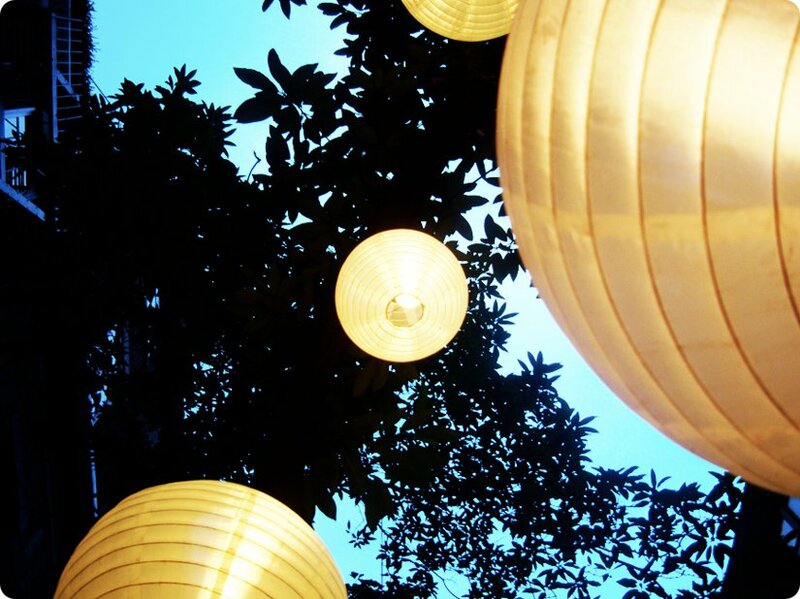 I love this kind of lighting... especially at weddings and parties!! Thank you for the inspiration! Please feel free to comment on mine and add anything you'd like.